Hurray! Exciting news for computer lovers! We are pleased to inform you that IELTS organizing bodies have launched a new online IELTS test in India. It is called as CB UKVI IELTS AC. At present, this computer based test is only available for the academic module. 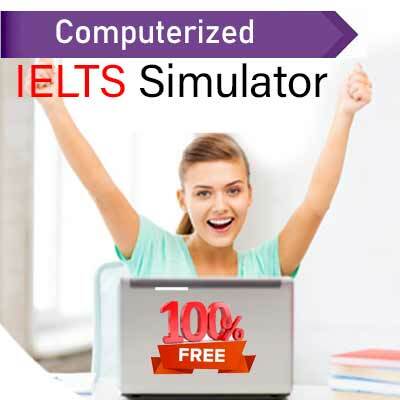 The format of this online test is identical to an offline IELTS Academic test. The Listening, Reading and Writing tests will be computer based while the speaking test will be a one-to-one interview. The applicable test fee is INR 18,600 (Eighteen thousand six hundred only) including service tax. The results of this new test are accepted by more than 9000 organizations, including universities, colleges, government and employers. Please note that the Listening, Reading and Writing tests will take place on the booked date. The order in which these tests are taken may vary. There are no breaks between these three tests. Your Speaking test time can be scheduled on the same day as the written tests or on a different day within a 7-day window before or after the written tests. The test center will confirm your Speaking test time. Please check your messages and emails regularly. How can IELTSband7 help you? We at IELTSband7 help you book your CB UKVI IELTS AC. We also provide training for this online test. 1.Getting the best IELTS preparation from CELTA faculty. 5.Essential advice on reading, writing, speaking and listening skills. 6.Terminating the common mistakes made by students. 7.Helping students in managing time for exam. 8.Best book materials for learning and practice meeting international standards. 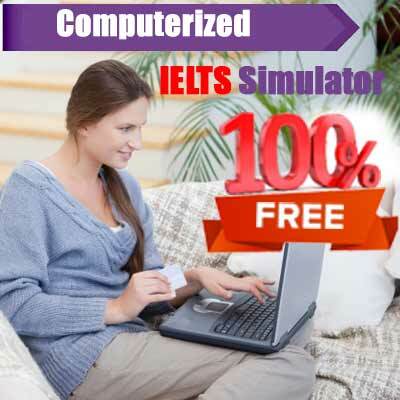 So, if you enjoy working on computers, this is the best IELTS exam for you.